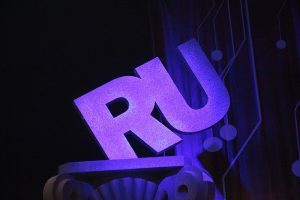 While there are concerns about censorship, VOA failed to mention that Western (mainly USA) sanctions against Russia have pushed Russia into a position where it has concluded that it needs to be able to be independent of USA-related internet controls. This goes along with Russia’s efforts to not have to use the USA-dominated SWIFT processing system for international payments (e.g. China, Russia, Venezuela, and EU taking steps against US dollar dominance and ‘SWIFT end’ as Russian banks move towards Chinese financial system? Can this hurt the USA?). Furthermore, China also has been trying to come up with systems, including with gold backing, to avoid the US dollar (watch US Dollar being challenged by Gold-Petro-Yuan). The USA has been pushing countries away from its currency. And while the Europeans joined in these sanctions, many in Europe do not like this and believe that the US has pushed them into sanctions against Russia (and Iran). USA sanctions are pushing the Gentile nations to come up with something that the USA will not like. The Russians called US actions hypocritical. The Bible tells of destruction coming to “an hypocritical nation” (Isaiah 10:6, KJV). The USA does not seem to realize that it is undermining its position as the world’s primary reserve currency through its sanctions and other policies. This is an unintended consequence of US sanctions policies. The Bible points to the end coming to the USA (cf. Daniel 11:39). This entry was posted on Tuesday, April 16th, 2019 at 3:00 pm	and is filed under Prophecy. Violence escalates in Eastern Ukraine: a test for the USA?